Man, what a week. It started out pretty well, but rapidly got very busy. I sang at a funeral today for my old boss (from my WW days)’s husband, who also happens to be my former pastor’s dad and my best friend from high school/college’s grandpa. It was pretty tough, but I was honored to be asked, but it also made for a long and very emotionally draining day. 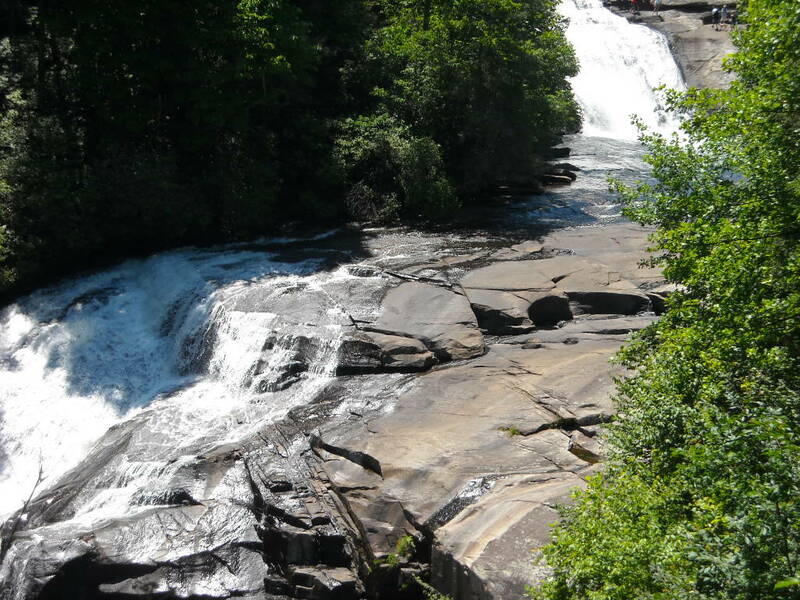 Next weekend, however, Joey, Shannon, and I are going camping in Balsam, NC, up in the mountains. I cannot WAIT…hopefully the leaves will be pretty when we get up there…I’m also hoping that it’s crisp, but not TOO cold. Joey got two stacks of firewood today, so we should be set for the trip. We still need to season our cast-iron cookware and get the rest of our food. Really, I need to just make a list tonight or tomorrow morning so we don’t leave anything out. Also have two assignments due before we leave, so I’ll be working like crazy this week to get that done. Wednesday, I’m off for my dentist appointment; I have to work Thursday (to make up for one of the days I missed during the kidney stone saga). Have you ever felt kind of lost in trying to put your finger on exactly what it is that you’re passionate about? I know that I’m passionate about animal rights and especially on the unnecessary death of shelter animals (cats in particular). I know that I need to try to figure out how to get into helping with that, you know, but I’m afraid. I’m pretty sure that helping out with those organizations is going to involve a lot of saying “goodbye” and grieving over animals, but I’m starting to feel like, if it’s something that I really care about, then maybe I should be willing to feel the pain to help bring about change. I don’t know. But I know that I’m going to need to start taking the necessary steps to pursue something because I can’t stay in the same place, because I’m not exactly happy here. And I think it’s one of those situations where, if I’m feeling so restless and dissatisfied, then God is probably trying to tell me something and it would be wise for me to listen. So, that’s what I’m going….lay it on me, God…. I’ve been reading Angela‘s and Heather’s blogs lately (well, I’ve really been reading both since May of this year), and they’ve offered a lot of insight on the topics of personal satisfaction, pursuing dreams, finding methods/styles that work for you and not being so concerned about doing things “this way,” or “that way,” because that’s what everyone else is doing. So, I’m starting to feel that, little by little, God is giving me these small, quiet messages through people like them to encourage me that dreams and passions are worth pursuing. More on all of that later, I’m sure. So, that’s where I am on this lovely evening…tomorrow is church and then our SS fellowship at Stallings Park (per Tara Lane, it’s not going to rain later tomorrow afternoon! ), so while tomorrow will be busy too, I don’t think it’ll be too bad.